The GrassROOTS Community Foundation is a 501(c)3 charity organization. We rely on a combination of paid consultants, volunteer service, in-kind donations, grants and corporate sponsorships to support our programs. We also graciously accept gifts and donations from the public. 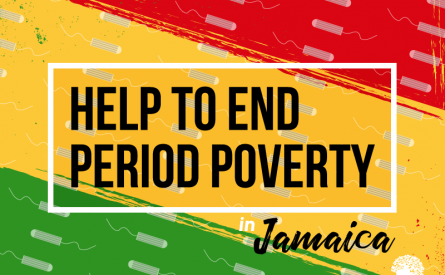 Your donations are greatly appreciated and will go toward improving the health and well-being of women and girls living in poverty. We welcome one gift or recurring donations. Thank you for choosing to support The GrassROOTS Community Foundation! Use your credit card or Paypal account to make a one-time donation or to set up recurring donations. You can make a donation by check. Your support is deeply appreciated by The GrassROOTS Community Foundation, youth and community. We welcome one time donations as well as recurring gifts. Please make check payable to GrassROOTS Community Foundation. Mail donations to 59 Main Street Suite 323 West Orange, NJ 07052. To learn more about workplace giving, please email Dr. Johnson Dias at president@grassrootscommunityfoundation.org. 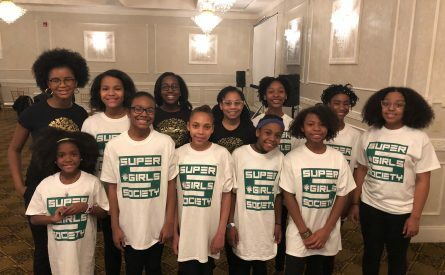 Invest our youngest girls and programs like Super Camp in New Jersey where we are helping girls become leaders. Help us bring this program to other communities. Invest in our middle school aged girls and programs like Leaves at Lingelbach School in Philadelphia where we are helping girls transform their neighborhoods. Help us bring these programs to other communities. Invest in our high school aged girls and programs like Branches at Central High School. Help us bring these programs to other communities. Invest in programs like Roots at Interfaith Hospitality Network that services homeless mothers and children. Help us bring these programs to other communities. If you would like to get involved and make a difference in the lives of young girls, below are some areas of need. Click on the GET INVOLVED button and fill out the form. Let us know what you are interested in assisting, where geographically do you want to help, and your contact information. Socially engaged citizens feel a sense of urgency about improving their community. Youth civic engagement reduces risky behavior, increased success in school and leads to greater civic participation later in life. Expressing your right to vote can help promote good mental health and, in turn, good physical health. 70% of the poor are women and children. Black poverty rates have been slowly increasing since reaching 25.7% for all Black families and 41.2% for Black families headed by single mothers. 4 out of 5 African American women are obese. Neighborhood poverty is associated with childhood obesity. Poor children have a 28% greater risk of becoming obese. 30% of Newark residents live below the US poverty threshold. Health and poverty are inextricably intertwined. We’d like to give special thanks to our major supporters who have provided generous donations to support and invest in our women and girls. We have a diverse set of investors. Whether financial or in-kind supporter, the organizations and people you who give to the foundation are committed to the long-term health and well-being of women and girls. The following are major funders for our programs. These organizations and individuals provide ongoing financial and in-kind support to the foundation. These organizations and individuals provide in-kind support in the forms of building space, resources, services and materials to the foundation. These organizations and individuals donated funds to support the Super Camp Scholarship Fund. This fund provides financial aid for girls accepted into the Super Camps. Shop at Amazon Smile and support GrassROOTS Community Foundation.